Scott Jaffa, Solutions Architect, ValidaTek, Inc.
Transform your organizational culture, speed up your next application development project, and make DevOps a reality. In an environment designed to catalyze innovation, we'll help your team make use of innovative open source technologies to rapidly build prototypes, experience DevOps, and adopt agile workflows. Technology teams have learned to adjust to the ever-shortening IT lifecycle that disruptive technologies like containers and OpenStack have made reality. These technologies are making their way into our datacenters through unofficial means when official channels are slow to respond. Being able to quickly and effectively assimilate and take advantage of these disruptive technologies while serving their existing missions has become a primary focus for leadership across all levels of government. In this session, we'll talk to industry experts on their paths to success to achieving open hybrid cloud operations and seamless workload probability. Whether it's adoption of SaaS, modernization of legacy applications, or development of new microservices having an agile integration strategy for your enterprise has never been more important. During this session, we'll discuss how integration technologies have evolved to support distributed environments, containers, and the API economy. You'll learn how integration is driving better analytics, mobile, IoT, and even security to empower the government agencies to increase velocity and reduce costs. The journey from on-premise workloads to the hybrid cloud can be challenging. 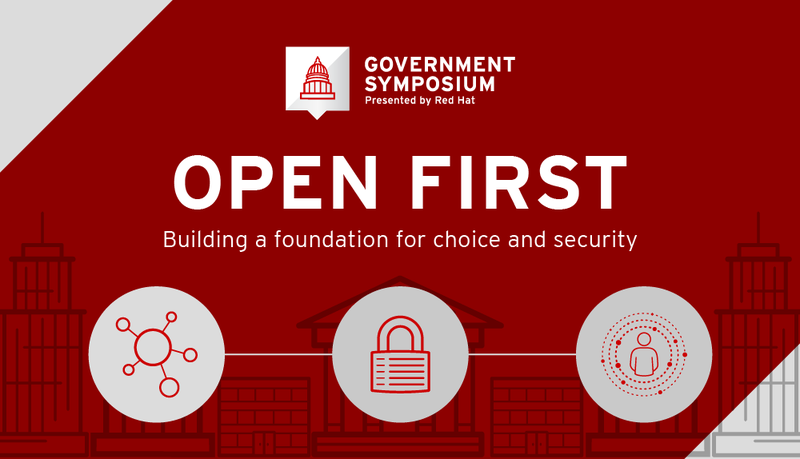 Cameron Wyatt and Dixon Rochez will lead a discussion around the reasons for moving to the hybrid cloud, some of the challenges you may face, and how Red Hat Consulting has helped solve these challenges for government agencies. This session will also include a live demonstration of migrating a virtual machine living on traditional on-premise virtualization to the hybrid cloud using Red Hat CloudForms and Ansible Tower by Red Hat. There is no OFF button for Legacy Applications. Not every one of them can be rewritten from the ground up and incur massive costs. In this session, you will learn about Red Hat’s approach to Application Modernization that eliminates technical risks and allow for incremental approach to modernize while continuing to deliver value with each step. Hear about the challenges you might face while modernizing Legacy and Mainframe applications and how to deal with them with a structured approach. Repetitive tasks consume time and create bottlenecks that result in a large backlog and long completion times for new projects. This significantly delays transition to new paradigms such as Cloud and DevOps for your IT organization. Translating infrastructure into code creates a common language for your IT staff to communicate and collaborate, improving your IT organization's efficiency and ability to deliver in an increasingly demanding environment. In this session, we will demonstrate how to standardize and automate operations around Windows, VMware/vRealize, AWS/Azure, and networking and how this can be used to modernize your IT with the infrastructure that you have today. In any organization, achieving an Authority To Operate (ATO) is essential for any infrastructure and platform being deployed. With the introduction of container technologies in the IT landscape, the ATO boundaries have invariably changed and the way we achieve and maintain an ATO has also changed. Join us as we break down what it means to establish an ongoing, continuous ATO environment, what it takes and how to maintain it. You asked for a transformation catalyst: a place to meet with experts, experiment with the art of the possible, and spark the cultural change that enables DevOps and accelerates successful software development. So, we created Red Hat Open Innovation Labs — an immersive, residency-style consulting engagement that helps organizations jump-start modern application development, and catalyze innovation. In a matter of weeks, alongside our experts, teams learn how to build applications the Red Hat way. Using open source technologies and principles, we help customers rapidly design and build prototypes, do DevOps, and adopt agile methodologies. Teams walk away with a functional application prototype, along with the methods, skills, and experience to drive transformation back within the organization. Open Innovation Labs is designed to accelerate the delivery of your innovative ideas. Ready to transform your organization? Learn how digital leaders in government are innovating faster and improving quality with Red Hat’s Open Innovation Lab. Hear and see real examples of customer success stories accelerated at Labs Gain tools to mitigate risk and accelerate the development of government applications through the use of Labs.